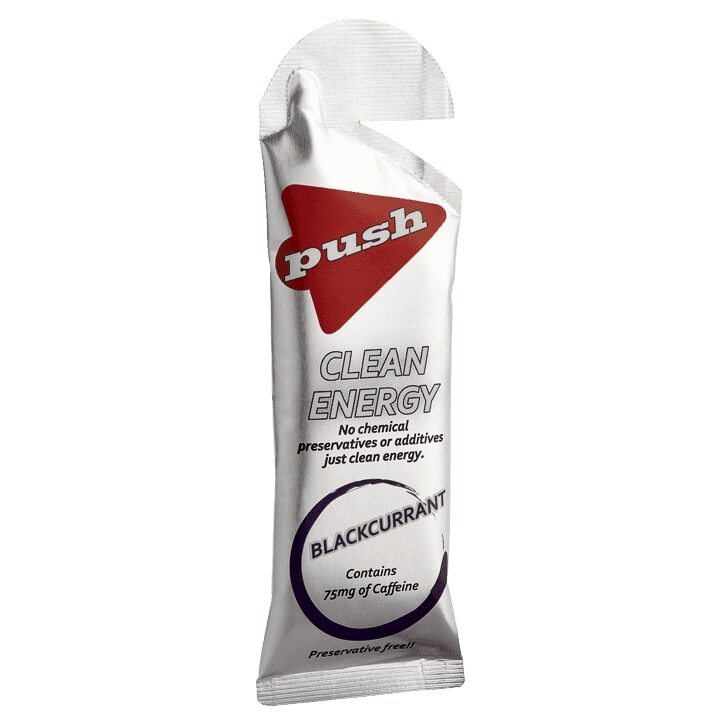 Push Clean Energy Blackcurrant gel with caffeine gives you a natural shot of carbs, salts and caffeine when you need them most. It is one of a new generation of preservative-free energy gels that contain only functional, natural ingredients. At Push Nutrition we don’t believe in adding artificial sweeteners, flavours, colours, preservatives or gelling agents – that’s Clean Energy!